These free calls from Santa will delight any child and fill their hearts with the magic of Christmas. These Santa Claus phone calls can be personalized with the child's name and custom message handpicked just for them. There are free calls from Santa that you can set up to call your phone and also a free app that allows your child to always have instant access to the big guy in red. You can also send a free video from Santa that your child can view on your computer, tablet, or mobile device. There are also free templates for letters to Santa, letters from Santa, and wish lists. There are also free Santa coloring pages. There's a free phone call from Santa at Dial My Calls that you can personalize in a few different ways to make it a great experience for your kids. You can customize the free call from Santa with your child's name or a general greeting if you don't find their name on the list. My child's name wasn't on the list and the message still sounded natural and not like it was missing anything. My favorite part of the free Santa call from Dial My Calls is that there are 7 different phone call messages that you can send to your child. This makes it really easy to customize the call for their age and behavior. Christmas Dialer: This is a quick and easy Santa call to set up. Just put in your phone number, choose whether you want Santa or an elf to call, and choose a message out of the four choices. The call will be sent immediately. The Santa Phone Project: Provide some info and Santa's helper will call at a time that you select. If your child wants to talk to Santa right now, you can let them call Santa instead of waiting for a phone call from him. Call Santa's hotline and your child can leave a message for Santa. You'll be texted an audio file of the message as a keepsake that you can share with friends and family. This isn't just for the U.S., there are lots of phone numbers for children in different countries. 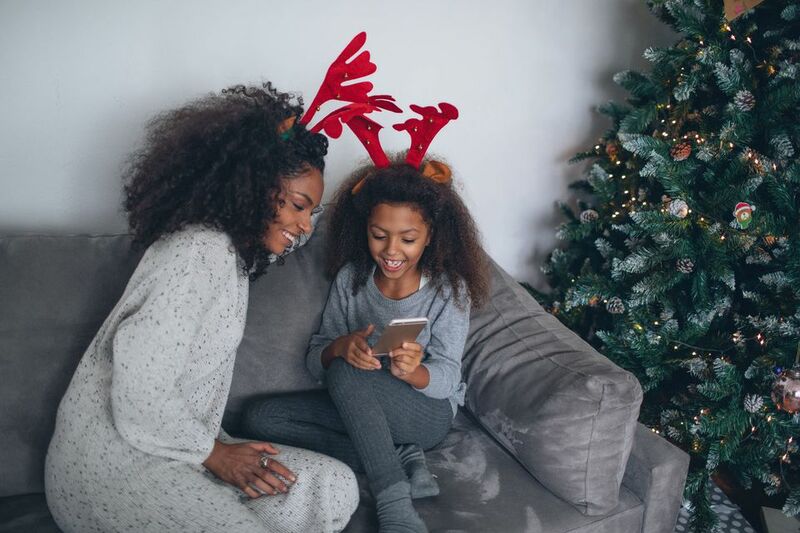 If you have Echo Dot Kids or FreeTime on Alexa in your home, you and your kids can dial up Santa to double check that he received your list—or to just say hi! A select group of characters may answer your call, including Santa himself, one of the elves, or Jack Frost. Download the free app Santa's Magic Phone and kids will get to call Santa and leave a video of their Christmas wish list. You can also have Santa call or text a naughty or nice message for your child to listen to. This free app is available for the iPhone, iPad, and Android.